A group called Conservatives Concerned About the Death Penalty met Wednesday at the nation’s capital to release a report that shows GOP lawmakers are lining up with bills to repeal capital punishment in their respective states. 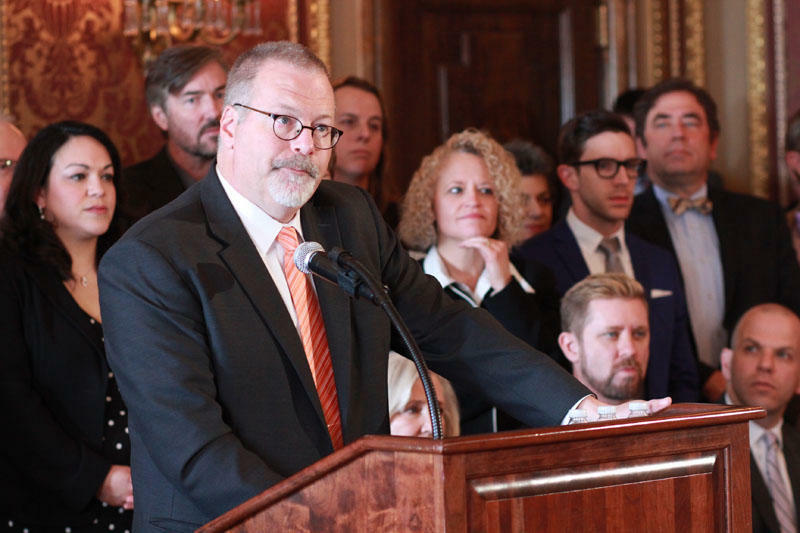 Former Utah state senator Steve Urquhart was one of those who tried to repeal the death penalty in 2016. It passed the Senate but never made it to the House. Urquhart says life imprisonment costs less than capital punishment and provides swift and final justice. The group’s new report shows that in 2016, ten times as many Republicans sponsored bills to repeal the death penalty than in 2000. Marc Hyden used to work for the NRA. Now he’s coordinating this national effort. Utah Justice Coalition is hoping a bill will be introduced in Utah’s upcoming legislative session to do away with the death penalty. They say they’re working with potential House and Senate sponsors now. 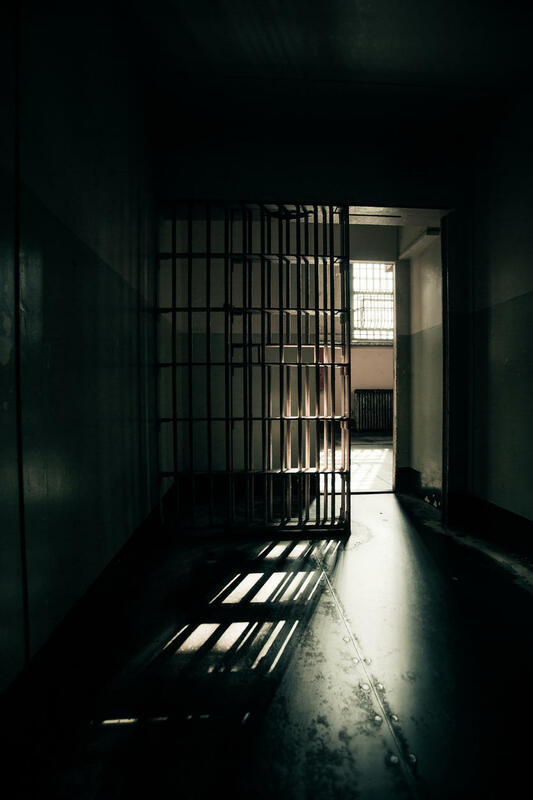 The full Utah House will get the opportunity to debate repealing the death penalty after a house committee narrowly voted to send it forward. A debate over whether or not to halt the death penalty in Utah ended without lawmakers acting on legislation as time ran out on the last day of the 2016 general session. 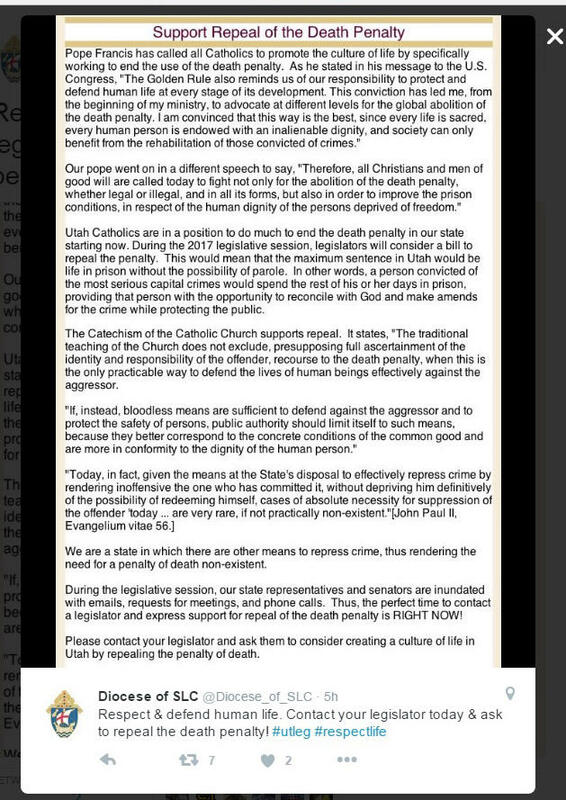 Catholic Church parishioners in Utah are being urged by the Salt Lake City Diocese to join a push to repeal the death penalty in Utah during the next legislative session. After 16 years in the state legislature, Steve Urquhart decided not to run for reelection this year. He recently took a job as a global ambassador with the University of Utah and resigned his senate seat last month after he moved out of his district in St. George to Salt Lake City.